GAO-17-237SP: Published: Jan 17, 2017. Publicly Released: Jan 17, 2017. A look at the nation's financial condition and future, and opportunities to improve it. The federal government is on an unsustainable fiscal path. Federal spending continues to outpace revenue—by $587 billion in 2016—and, absent policy changes, the structural gap between revenues and spending puts the federal government on an unsustainable long-term fiscal path. Federal policymakers face economic, security, and social challenges requiring difficult policy choices, but a long-term fiscal plan is also needed to preserve flexibility to address unforeseen events. Graph showing increasing ratio of national debt to gross domestic product. The Congress and incoming Administration face serious economic, security, and social challenges that will require difficult policy choices in the short term about the level of federal spending and investments as well as ways to obtain needed resources. At the same time, the federal government is highly leveraged in debt by historical norms. In addition to near term financing decisions, a broader plan is needed to put the government on a more sustainable long-term path. This report illuminates this need by outlining the fiscal condition of the U.S. government and its future path based on current fiscal policies. It draws on the recently issued Fiscal Year 2016 Financial Report of the United States Government (2016 Financial Report) and GAO's audit of the government's consolidated financial statements. According to the 2016 Financial Report, the federal deficit in fiscal year 2016 increased to $587 billion—up from $439 billion in fiscal year 2015. Federal receipts grew a modest $18.0 billion due primarily to extensions of tax preferences, but that was outweighed by a $166.5 billion increase in spending, driven by Social Security, Medicare, and Medicaid, and interest on debt held by the public (net interest). Debt held by the public rose as a share of gross domestic product (GDP), from 74 percent at the end of fiscal year 2015 to 77 percent at the end of fiscal year 2016. This compares to an average of 44 percent of GDP since 1946. The 2016 Financial Report, the Congressional Budget Office (CBO), and GAO projections all show that, absent policy changes, the federal government’s fiscal path is unsustainable and that the debt-to-GDP ratio would surpass its historical high of 106 percent within 15 to 25 years (see figure). Importance of Early Action: The 2016 Financial Report, CBO, and GAO all make the point that the longer action is delayed, the greater and more drastic the changes will have to be. As shown in the timeline below, Medicare’s Hospital Insurance trust fund, and Social Security’s Disability Insurance trust fund and Old-Age and Survivors Insurance trust fund face financial challenges that add to the importance of beginning action. It is important to develop and begin to implement a long-term fiscal plan for returning to a sustainable path. Alternative Approach to Managing Debt Is Needed: The current debt limit is not a control on debt, but rather an after-the-fact measure that restricts the Department of the Treasury’s authority to borrow to finance the decisions already enacted by Congress and the President. GAO has suggested Congress consider alternative approaches that would better link decisions about borrowing to finance the debt with decisions about spending and revenue at the time those decisions are made. Fiscal risks are responsibilities, programs, and activities that may legally commit or create expectations for future spending based on current policy, past practices, or other factors. Of further concern is the fact that none of the long-term projections include certain other fiscal risks that could affect the federal government’s financial condition in the future. These include risks stemming from crises to which the public expects a federal fiscal response, such as wars, economic, financial or weather-related crises. A more complete understanding of fiscal risks can help policymakers anticipate changes in future spending and can enhance oversight of federal resources. Executive actions alone cannot put the U.S. government on a sustainable fiscal path, but it is important for agencies to act as stewards of federal resources. 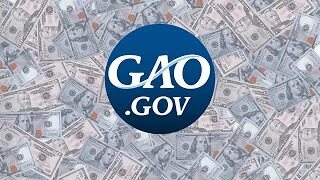 In prior work, GAO has identified numerous actions for executive agencies to contribute toward a more sustainable fiscal future. • Reduce improper payments: Reducing payments that should not have been made or that were made in an incorrect amount could yield significant savings. The improper payments estimate in fiscal year 2016 was over $144 billion. Since fiscal year 2003, cumulative estimates have totaled over $1.2 trillion. • Address the persistent tax gap: Reducing the gap between taxes owed and those paid on time could increase tax collections by billions. The annual gross tax gap is estimated to be $458 billion. • Continue to address duplication, overlap, and fragmentation: GAO has identified numerous areas to reduce, eliminate, or better manage fragmentation, overlap, or duplication; achieve cost savings; or enhance revenue. Actions taken so far by Congress and the executive branch have resulted in roughly $56 billion in financial benefits from fiscal years 2010 through 2015, with at least an additional $69 billion in estimated benefits projected to be accrued through 2025. • Improve information on programs and fiscal operations: Decision-making could be improved by strengthened internal controls over financial reporting, increased attention to tax expenditures, and effective implementation of the Digital Accountability and Transparency Act of 2014 (DATA Act). For more information, contact Susan J. Irving at (202) 512-6806 or irvings@gao.gov.